If You've Been Charged With Impaired Driving in North Battleford You Need To Speak To Lisa Watson ASAP! A charge of impaired driving may look impossible to defend, but a consultation and careful review of the evidence with an experienced lawyer may provide you with a defence that you had no idea existed. Impaired driving is a very technical area, and different defences are continually being developed in the courtroom. North Battleford defence counsel Lisa Watson has extensive courtroom experience and knows how to review your case. She can analyze your case and assess a defence that may lead to dismissal of your charges. 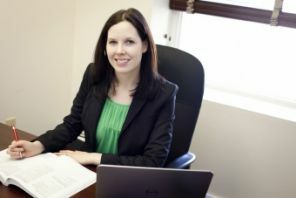 A review and assessment of your case will help you to consider your chances of success in defending the case, and help you make decisions about your case and what you want to do.Lisa is presently a member of the Saskatoon Criminal Defence Lawyer Association and has earned respect among her peers in the criminal bar. She is known for effective advocacy for her clients. You will know right away that you will have made the best choice when you see her good natured manner and work with her to resolve your problems.Don’t wait to call. Every minute you delay is a minute against you. Give yourself a chance to maintain your lifestyle, and reduce or eliminate the potential hardship that come with an impaired driving conviction. Align yourself with a trustworthy, reasonable and competent lawyer. Call Lisa Watson now!